What You Think of Me Is None of My Business! To help you transcend ingrained ideas of self-importance, here are a number of step designed to prevent you from falsely identifying with the self-important ego. The behavior of others isn’t a reason to be immobilized. That which offends you only weakens you. If you’re looking for occasions to be offended, you’ll find them at every turn. This is your ego at work convincing you that the world shouldn’t be the way it is. Let go of your need to win. 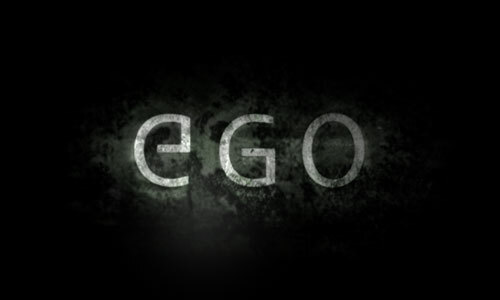 Ego loves to divide us up into winners and losers. The pursuit of winning is a sure means to avoid conscious contact with your purpose and intention. Why? Because ultimately, winning is impossible all of the time. Someone out there will be faster, luckier, younger, stronger and smarter. You’ll go onto feeling worthless and insignificant. You’re not your winnings or your victories. You may enjoy competing, and have fun in a world where winning is everything, but you don’t have to be there in your thoughts. Let go of needing to win by not agreeing that the opposite of winning is losing. That’s ego’s fear. Ironically, although you’ll hardly notice it, more victories will show up in your life as you pursue them less. Let go of your need to be superior. True nobility isn’t about being better than someone else. It’s about being better than you used to be. Stay focused on your growth, with a constant awareness that no one on this planet is any better than anyone else. Let go of your need to have more. Let go of your reputation. Your reputation is not located in you. It resides in the minds of others. Therefore, you have no control over it at all. If you speak to 30 people, you will have 30 reputations. Connecting with your purpose, your journey, means listening to your heart and conducting yourself based on what is authentic to you. If you’re overly concerned with how you’re going to be perceived by everyone, then you’ve disconnected yourself from intention and allowed the opinions of others to guide you. This is your ego at work. Leave your reputation for others to debate; it has nothing to do with you. Or as a book title says: What You Think of Me Is None of My Business! extracts from Seven Steps for Overcoming Ego’s Hold on You > Wayne W. Dyer.